Since we just finished our neuroscience for business series, it may come as no surprise that this week’s #FridayFinds are focused on how to manage stress in the workplace and support a positive atmosphere. It seems that workplaces are becoming more and more stressful in the last few years. This high stress level leads to employee burnout, low engagement levels and high turnover rates. In a new poll by NPR, the Robert Wood Johnson Foundation and Harvard’s T.H. Chan School of Public Health, among those working adults who say they’ve been struggling with stressful workplaces in the past 12 months, the vast majority, 85 percent, rate the efforts of their workplace to reduce stress as fair or poor. Moreover, 43 percent of working adults said their job negatively affects their stress levels, while others said their job negatively affects their eating habits (28 percent), sleeping habits (27 percent) and weight (22 percent). 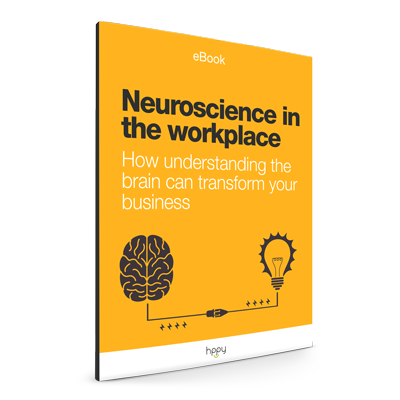 If you’ve read some of the articles in our neuroscience for business series, you know what that means for your brain. There’s no question that female leadership brings great benefits to organizations worldwide. However, based on the slow rate of progress over the last three years in the US, it will take twenty-five years to reach gender parity at the senior-VP level and more than one hundred years in the C-suite, as this study by McKinsey & Company shows. So what’s stopping women from owning up this power and making more companies thrive? One of the key findings of this study points to women being almost four times more likely than men to think they have fewer opportunities to advance because of their gender— they are also twice as likely to think their gender will make it harder for them to advance in the future. Here’s how they did it. Curious to find out how McKesson transformed their headquarters into an inspiring workplace with its primary mission to make people healthier? The answer is: with a WELL Building Certification. McKesson’s challenge was to completely transform an overcrowded, inflexible, technologically outdated, and lacking in daylight office into a workplace that would attract and retain talented employees. It just isn’t FridayFinds without an article from Harvard Business Review. This article dives into the communities that are created inside workplaces and how to best manage them, in a way that they have a positive contribution to the company’s evolution. Learn what communities of aspiration are and how HR can nurture them to improve collaboration, break down so-called siloes, or live into its diversity goals.